500MM Mirror Lens is a great wildlife and bird portrait lens. This mirror lens mounts to camera and works on both “full frame” cameras as well as the “APS-C” style digital SLR cameras. T-Mounts are available for all the digital SLR systems, as well as for C-mount systems. 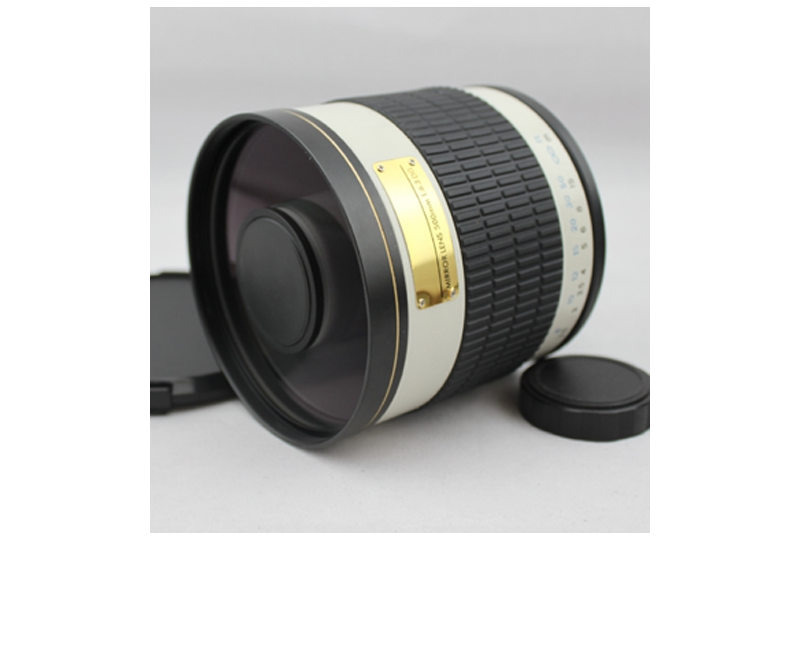 This lens has a good performance on all Canon, Nikon, Sony, Olympus and any other cameras. However, in every case the fixed f/6.3 aperture is not communicated to the camera body. As such, you can use the lens in “M” manual exposure mode or “A” aperture-priority mode only. 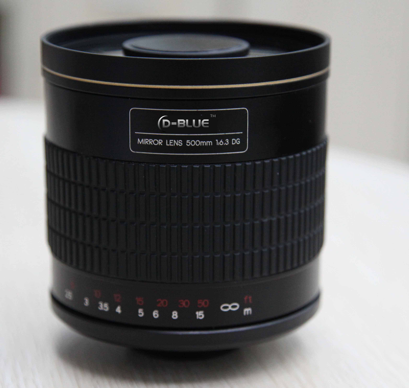 This lens has a broad diameter and stocky build, making it a bit easier to handle than a normal refractor lens. It also has a much different rendering of out of focus areas than a normal lens; highlights will be doughnut-shaped rings with more saturation and contrast on the edge of the ring than on the center.